FINALLY! The official movie trailer and release date for Nate Parker's upcoming film, The Birth of a Nation, has been released! 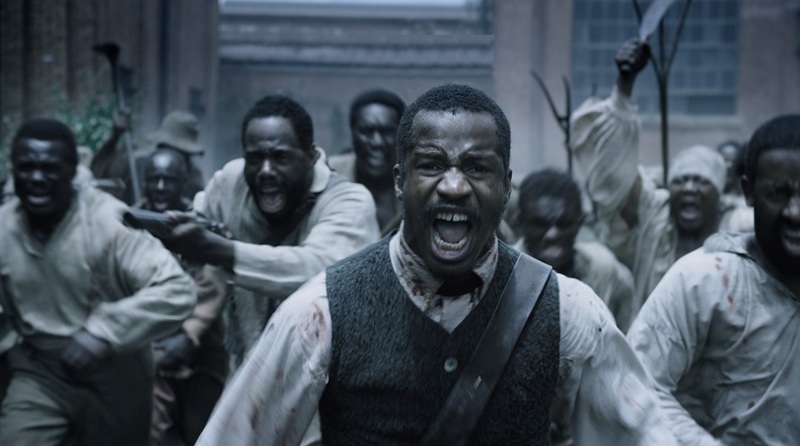 Set in the pre-war South, it focuses on Nat Turner (played by Nate), a literate slave and preacher whose financially strapped owner (Armie Hammer) accepts an offer to use Nat’s preaching to subdue unruly slaves. As he witnesses countless atrocities — against himself and his fellow slaves — Nat orchestrates an uprising in the hope of leading his people to freedom. The film, which was also directed by Nate and is set to hit theaters October 7, also stars Jackie Earle Haley, Gabrielle Union, Penelope Ann Miller, Aunjanue Ellis, Mark Boone, Jr. and Aja Naomi King. This was a movie that I have been waiting a while to see! I love Nate as an actor, and I'm sure he excelled as the film's director as well. The trailer definitely was powerful, so I'm excited to see the film in full come October! Will you be going to see The Birth of a Nation?